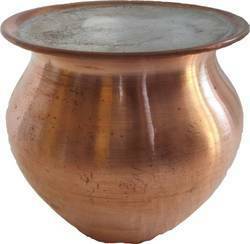 Our product range includes a wide range of pure copper puja kalash, akhand jyoti round shape diya, kashi gangajal kalash, brass tortoisekuber lamp and bhasma powder. 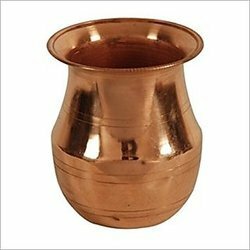 Having fully proficiency in this in this field, our firm is occupied in offering a wide range of Pure Copper Puja Kalash. These products are made by vendors to meet industry norms. Lovely look and précised designing of the products are extremely praised by the clientele. We are amongst the renowned names in the industry, occupied in offering precisely designed series of Akhand Jyot Round Shape Diya. Our products are made by vendors using the best grade technology and technique. To keep the quality, we offer these products in safe packaging. 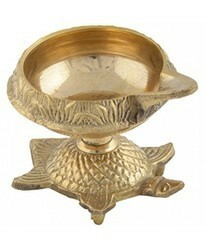 In order to carve noticeable position in the industry, we are offering a stylish range of Copper Kashi Gangajal Kalash. These are made at our vendors manufacturing unit by well-informed designers and craftsmen under the direction of industry professionals, these offered products are highly praised for their precise designing and superior finish. Moreover, our products are very light in weight and offered at small prices. We are amongst the renowned names in the industry, occupied in offering precisely designed series of Brass Tortoisekuber Lamp. Our products are made by vendors using the best grade technology and technique. To keep the quality, we offer these products in safe packaging. 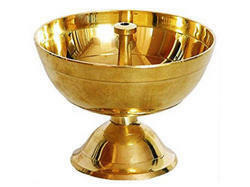 With our rich experience, we are engaged in offering a wide array of Bhasma. Moreover, our vendors also make these products in different designs and pattern that meet on clients demand.